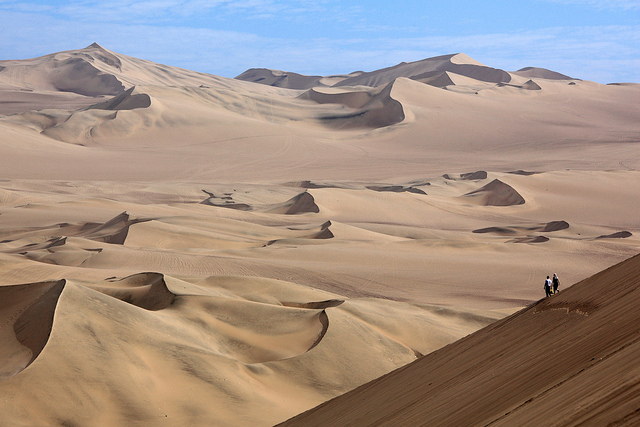 The short hop from Nazca to Ica took just over two hours on a local bus, and then Huacachina was only a $2 taxi ride from Ica. The town, if you can call it that, was tiny – no more than a single U-shaped street of hotels and tourist-oriented restaurants bordering a small olive-green lagoon. 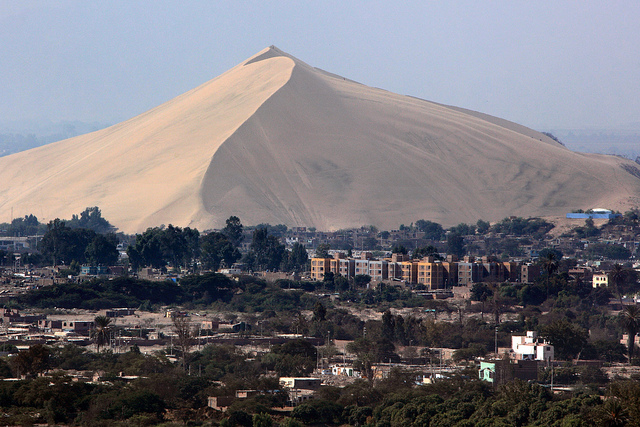 As advertised, towering sand dunes rose on all sides. I itched to get up there and start taking photos. But I’d made the mistake of reserving a hotel room in advance and it wasn’t ready yet. “Trienta minutos,” said the receptionist. An hour and a half later I was finally allowed to check in. 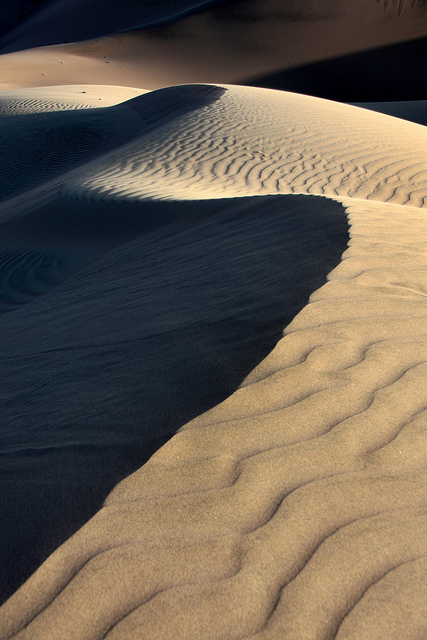 I dropped everything but my camera, walked out a gate behind the hotel, and climbed up a dune. 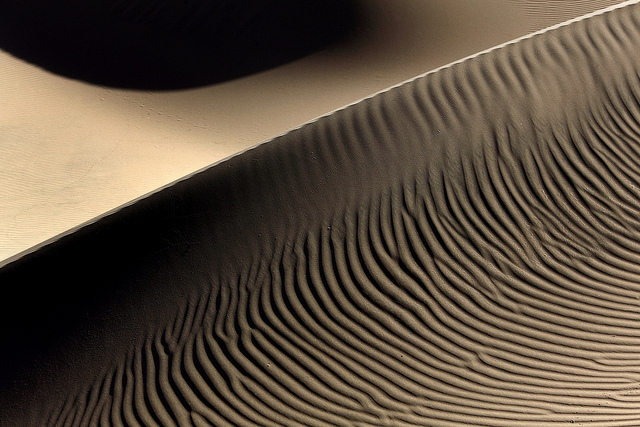 A big dune. By the time I reached the top my throat and legs were burning. For ten months I’d been traveling through developing countries and I was used to seeing litter. It was understandable that some windblown trash would find its way from the neighboring villages into the dunes. 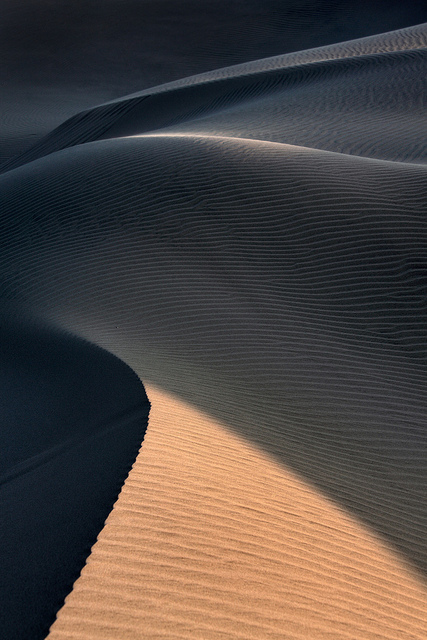 But after passing several large garbage bags half-embedded in the sand, their contents spilling out, I realized that people were intentionally using the dunes as a dumping ground. In every sense of the word. I watched where I walked. 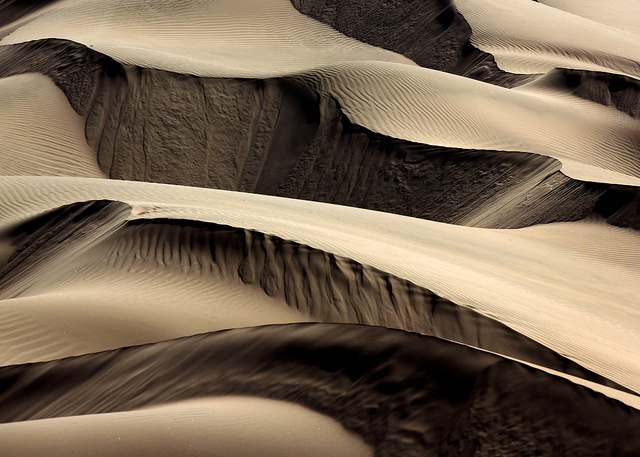 It wasn’t easy to find unmarked sand dunes. 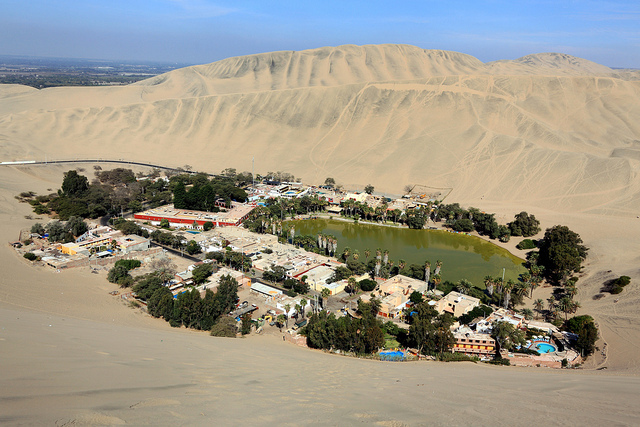 Huacachina catered to tourists by selling dune buggy tours and renting sand boarding equipment. I could out-walk the sand boarders, but I couldn’t escape the dune buggy tracks or the ubiquitous heaps of trash. The town itself existed solely for tourism. Walking the streets provided no voyeuristic glimpses into daily Peruvian life. No women hanging laundry, no uniformed children walking to school, no men struggling to revive the engine of a thirty-year-old truck. 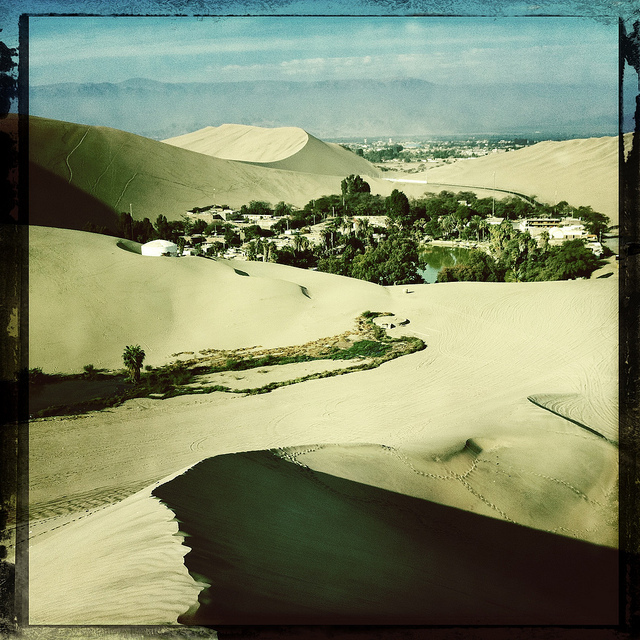 Just hotels, tour agencies, restaurants with English-language menus, and market booths overflowing with shiny souvenirs glinting meretriciously in the desert sun. The following morning I woke up before dawn and headed to the central lagoon for sunrise photos. My hotel’s security guard chased after me. “You should not be out here so early,” he scolded in Spanish. “There are thieves.” By then I could see that an unbroken layer of clouds covered the sky, making it pointless to question the guard’s caution. I dutifully slunk back to the hotel. The clouds lingered into the early afternoon before burning off. 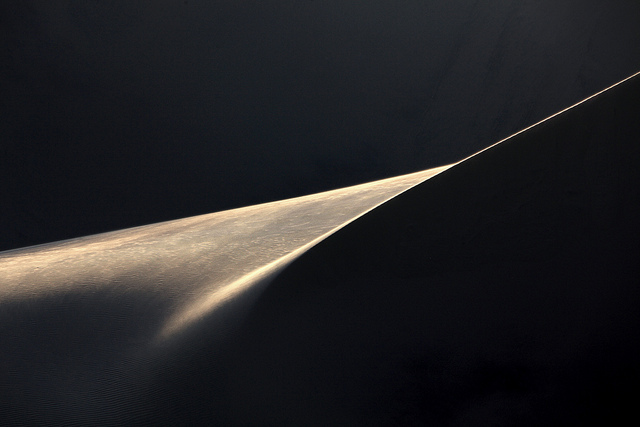 At the first sign of sunlight I embarked on a grand loop of the dunes in search of clean, interesting sand to photograph. I found very little. 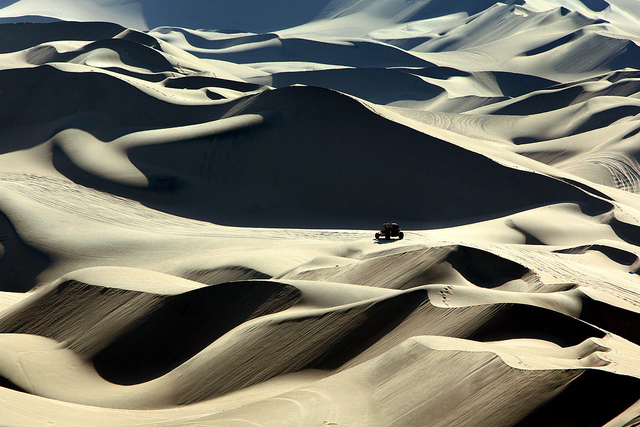 Every ten minutes a pack of dune buggies sped by, their engines crackling like automatic weapon fire and, inevitably, a woman’s voice screaming “Woooo!” as they passed. 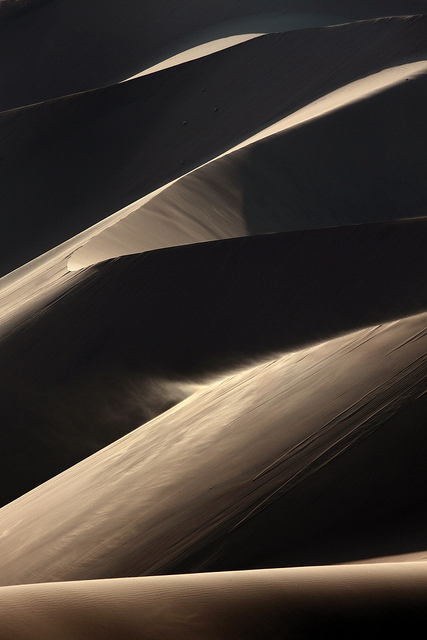 It was time to leave Huacachina. When I spent one night in Lima in 2009 I’d stayed in the gritty area around the city center. 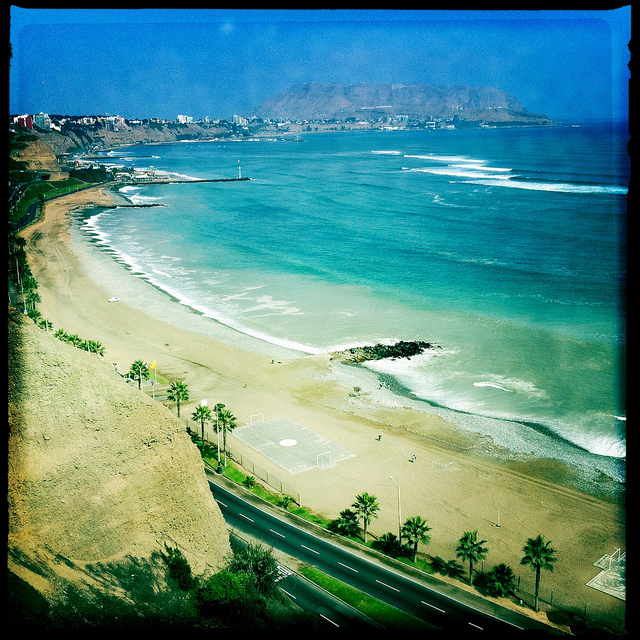 This time I picked a hotel in the upscale Miraflores neighborhood. My interest in a big city, as usual, was low. Two nights would be enough. 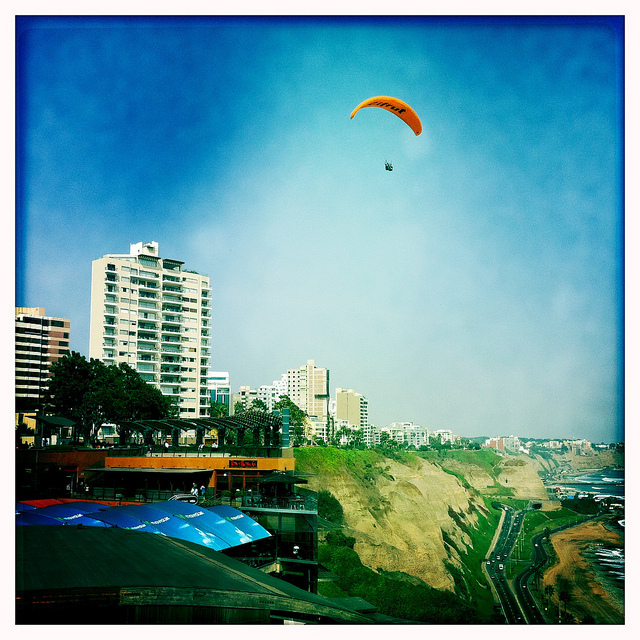 In the early afternoon I walked from Parque Kennedy (named after JFK) down casino-lined Avenida Larco to the ocean, where a large shopping complex had been built into the cliffs that rise from Lima’s narrow beach. I couldn’t take in the view without the mall’s signs invading the edges of my vision – Tony Roma’s, Starbucks, TGI Friday’s. Really, Lima? TGI Friday’s?